Shkodran Mustafi headed Arsenal ahead before Victor Camarasa equalised in first-half. 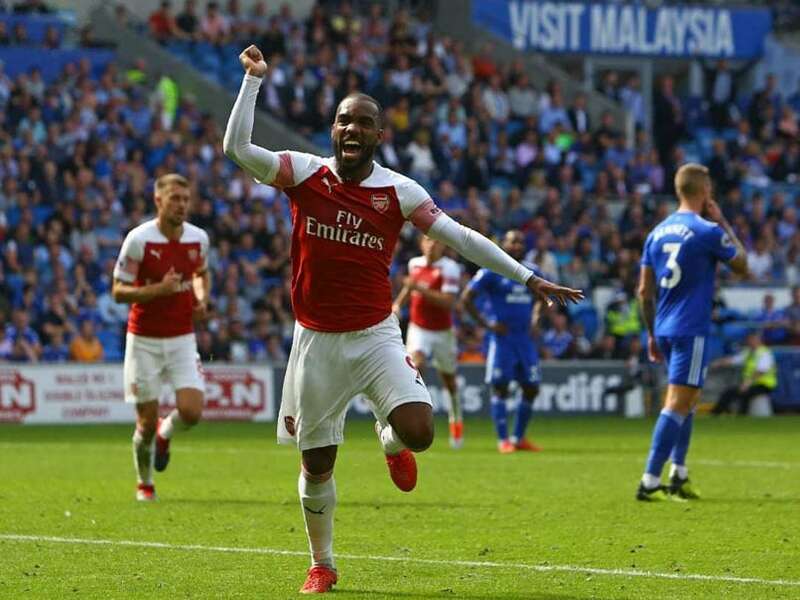 Unai Emery collected his second victory as Arsenal manager thanks to a fine strike from Alexandre Lacazette in a 3-2 success at Cardiff on Sunday. Emery's men had threatened to surrender two more Premier League points as they twice squandered the lead, with Neil Warnock's Cardiff exploiting old failings for the Gunners. But, despite making hard work of seeing off the promoted Welsh side, Arsenal sealed maximum points with Lacazette's late strike to record only their second away Premier League win since December. Shkodran Mustafi headed Arsenal ahead before Victor Camarasa equalised in first-half stoppage-time as Emery received another intensive lesson in the strengths and weaknesses in his squad. Chief among the Emery's concerns was the continued struggles of goalkeeper Petr Cech to deal with the Spanish manager's commitment to build from the back.